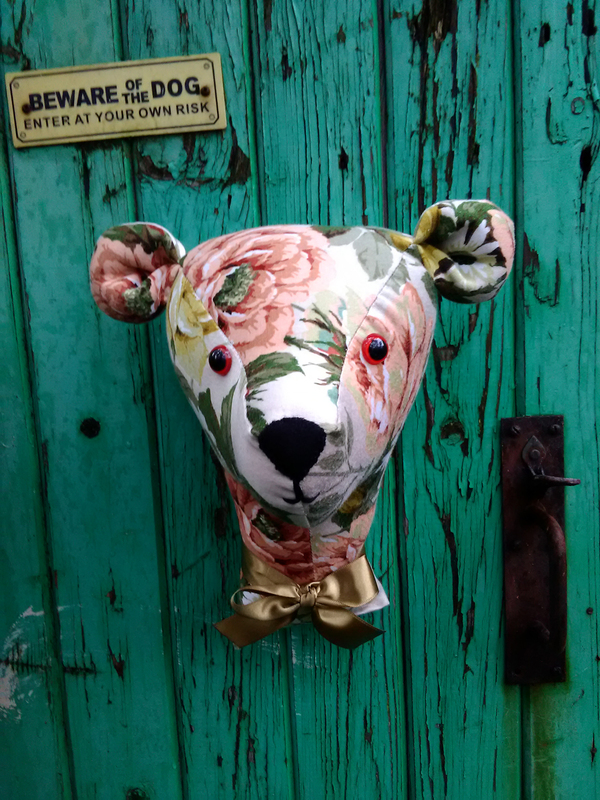 Fake taxidermy Bear head. 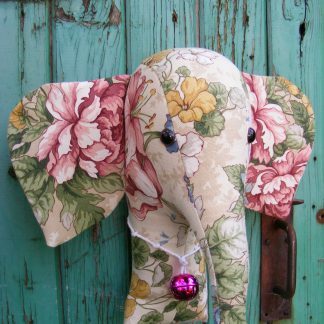 Shabby chic vintage fabric. – Tilly Lane Treasures. Home / Fake Taxidermy. 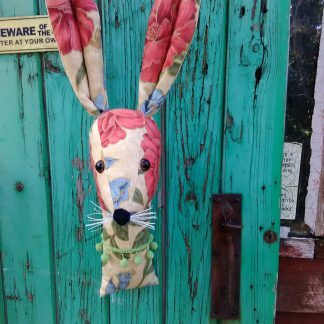 Fabric animal heads. 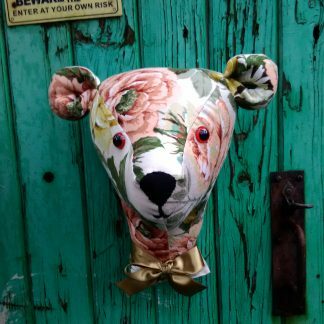 / Fake taxidermy Bear head. Shabby chic vintage fabric. SKU: B58 Category: Fake Taxidermy. 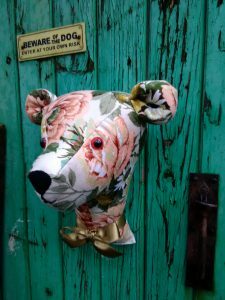 Fabric animal heads. 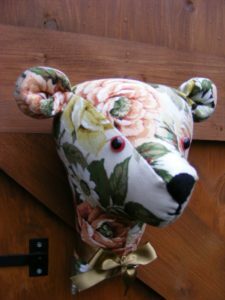 Fabulous Teddy Bear trophy head figure. She is a fake taxidermy, trophy head wall hanging, 11 1/2″ tall to the to the tip of her ears, and 8 1/2″ at her deepest. This is some rather gorgeous vintage fabric, recycled from a curtain, a shabby chic blown roses pattern from Berkeley. She is wearing a ribbon collar, and hangs with a ring. 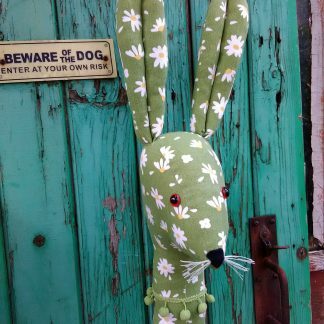 As with all the fabrics I use, this is a limited run of heads in this fabric. She is not a toy, she is a decorative item, and is for Adult Collectors only. Buy lots, they hate living alone, and group them altogether, they look fab! Fake taxidermy. Fabris dog head. 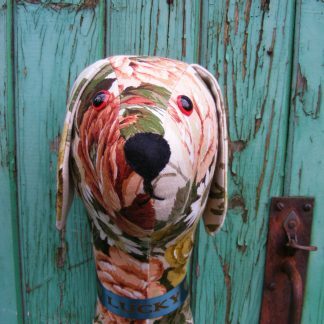 Vintage shabby chic fabric. Fake taxidermy. 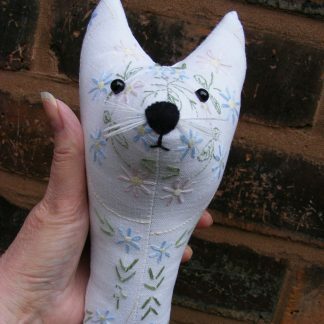 Shabby chic vintage embroidered fabric, fabric cat head.